My clients have ranged in age from 25 to mid-60's. Some have been pregnant. Some are very classic and conservative dressers. Some are willing to take more risks. 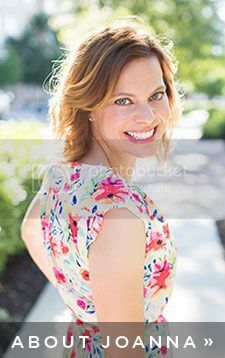 I've worked with clients in winter, spring, summer, and fall. 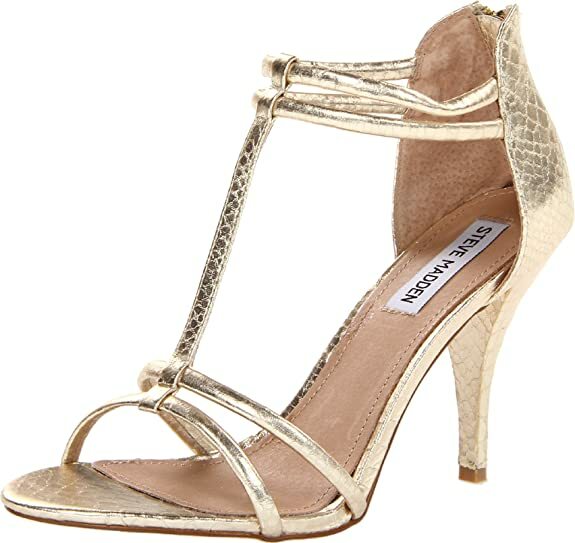 Last night, I was looking over the notes I've taken during their wardrobe revivals, and it occurred to me that there are a couple of wardrobe staples I have suggested for nearly every one: metallic shoes and belts. I don't happen to be afraid of bright gold or silver, but a more muted pewter color will go with every other color in your wardrobe and will add a little "oomph" to an otherwise neutral (and perhaps dull) ensemble. Are you going all black today? Put on some cute metallic ballet flats, and now you've added an interesting twist on a theme. On the other hand, metallics can also be a good way to to fill a utilitarian need without drawing too much attention. If you're wearing a billowy, bright, floral top, perhaps you need to add some definition to your waist without competing with its colors. 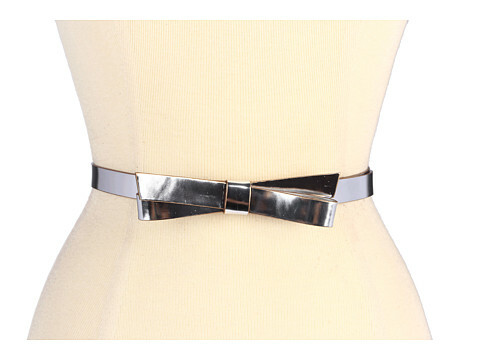 A pewter skinny belt is the perfect choice. Never forget the wise words from Stacy and Clinton of 'What Not To Wear' fame: "It doesn't have to match; it just has to go." So there you have it...and you didn't even have to pay for the advice. Get thee to the mall and buy some metallics.